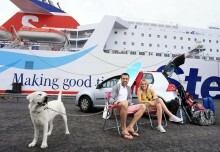 IRELAND’S leading ferry company, Stena Line, is gearing up for another busy summer as the trend for car-cations continues to grow in popularity and with great fares starting at just €89* single there has never been a better time to fill your boots, pack it in and book a car-cation. LEADING ferry company, Stena Line, is gearing up for another busy summer as the trend for car-cations continues to grow in popularity and with great fares starting at just *£79 single there has never been a better time to fill your boots, pack it in and book a car-cation. 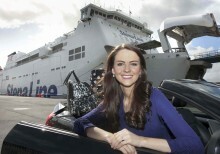 Stena Line car-cation survey reveals the majority of people would like to holiday with the future Queen VOTED the most stylish woman in the world, the Duchess of Cambridge has also been revealed as the most desirable ‘celebrity’ people in Northern Ireland, the Republic of Ireland and Great Britain would like to car-cation with, according to Stena Line.